The Bonvalot Mansion at No. 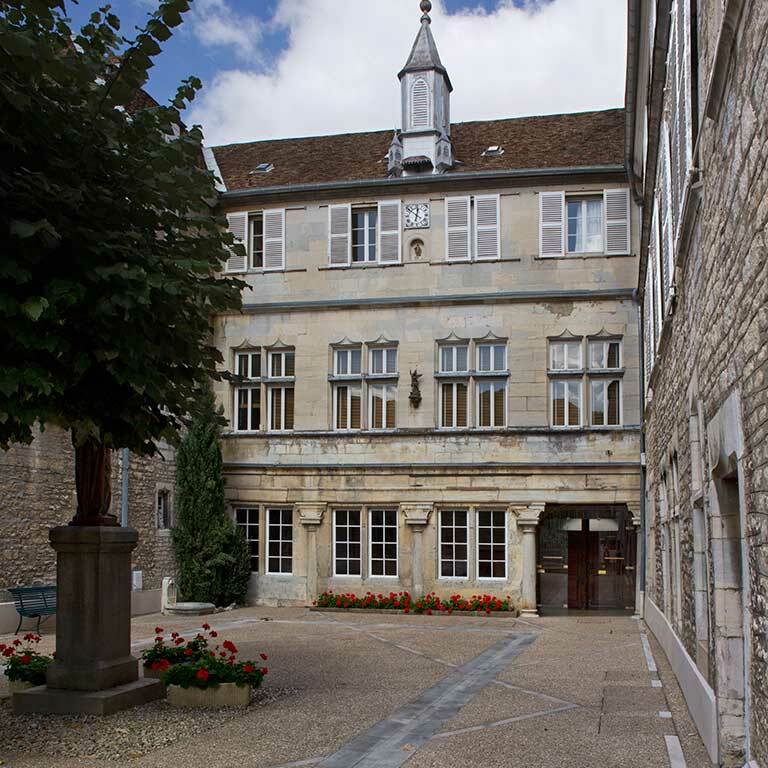 6, rue du Palais, is behind the 19th century walled water reservoir. 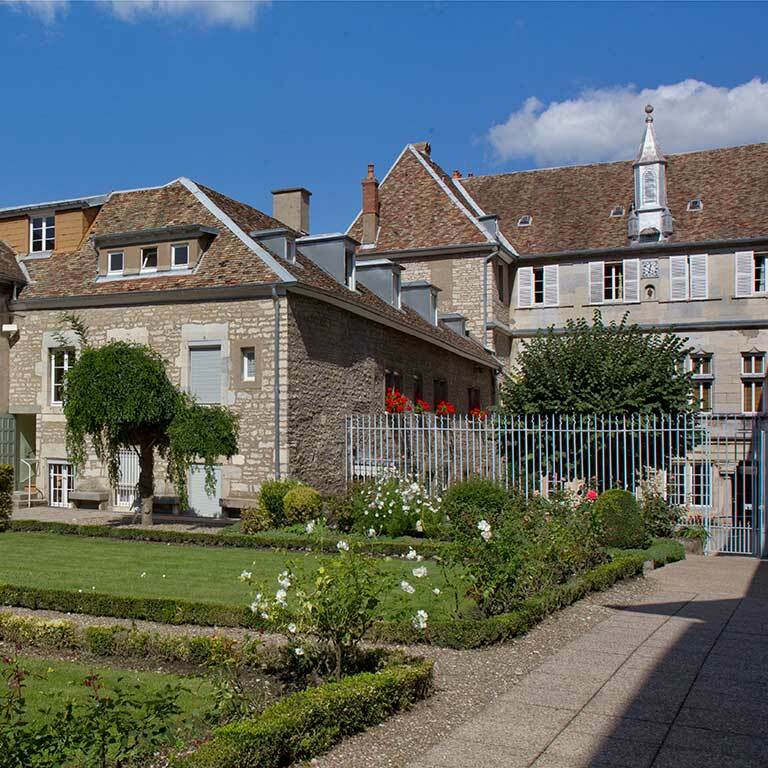 This is also a former canon’s house, but because it is more sophisticated than the ones you have just seen, it is called, in French, an “hôtel”. But it isn’t what you are thinking. It’s actually “just” a mansion. (Your tour includes a number of mansions.) 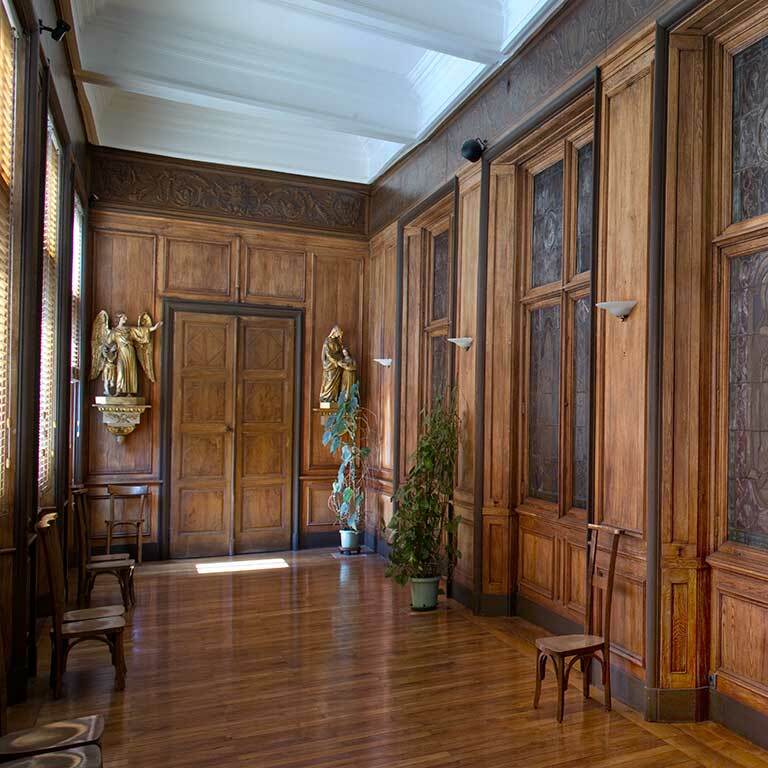 Construction was begun in 1538 and finished in 1544, and its owner was François Bonvalot, a rich man who had been ambassador for the Habsburgs at the court of the king of France. And what is more, he was the brother-in-law of Nicolas Perrenot de Granvelle (First Advisor to Charles V, Holy Roman Emperor), who himself had a palace at No. 96, Grande Rue. 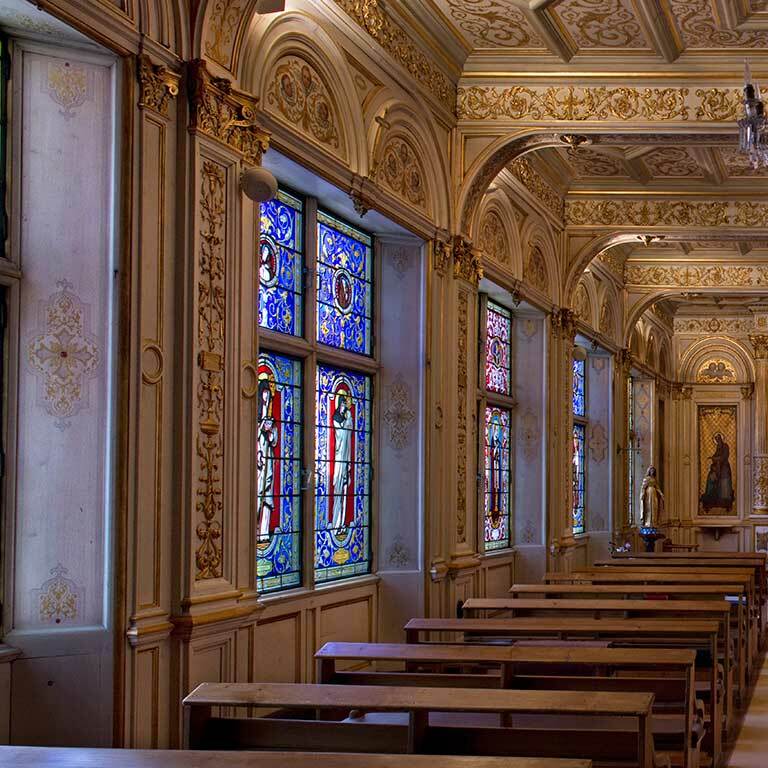 Because it was built during the first half of the 16th century, the architecture is influenced by the Gothic style: you can see the mullioned windows with ogee arches. 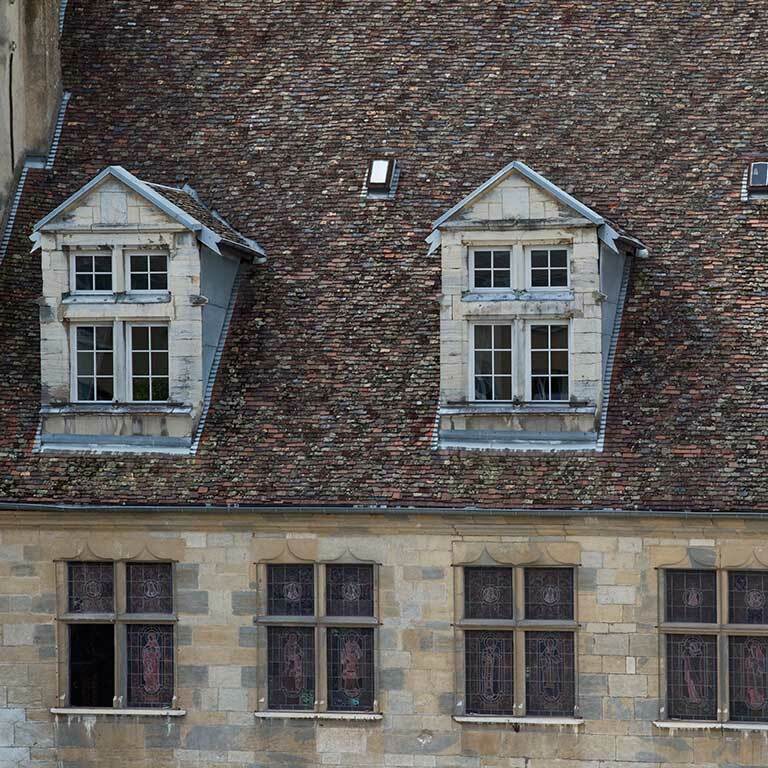 However, the symmetry of the facade and the triangular pediments over the dormer windows belong to the world of the forms and principles of the Renaissance. 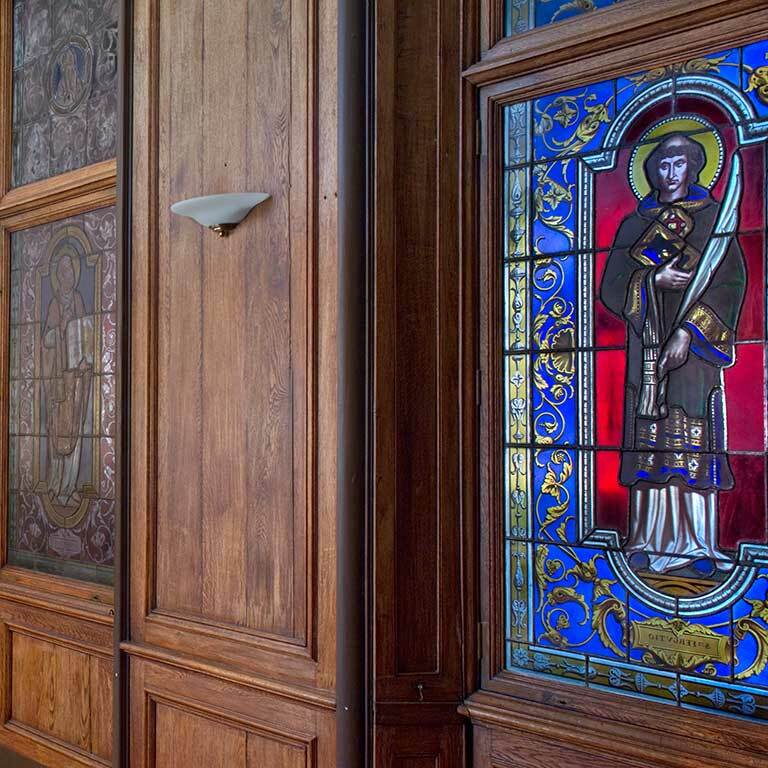 The stained glass windows on the first floor date from 1855-1857, when the chapel was erected for the Sisters of the Holy Family who have lived in the mansion since 1827. Inside, a large rooftop garden overlooks the city. 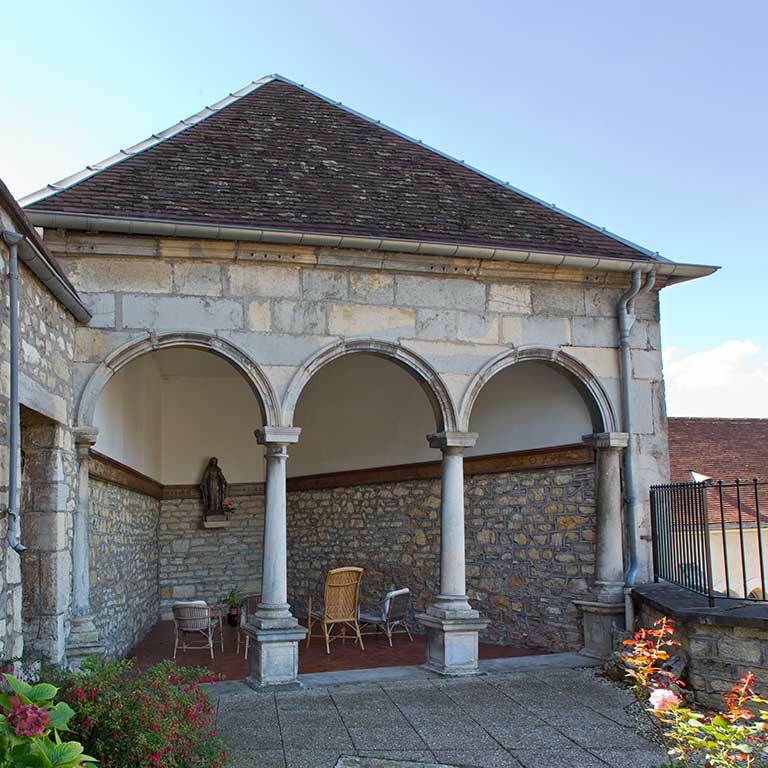 It has a loggia where François Bonvalot liked to go to meditate. 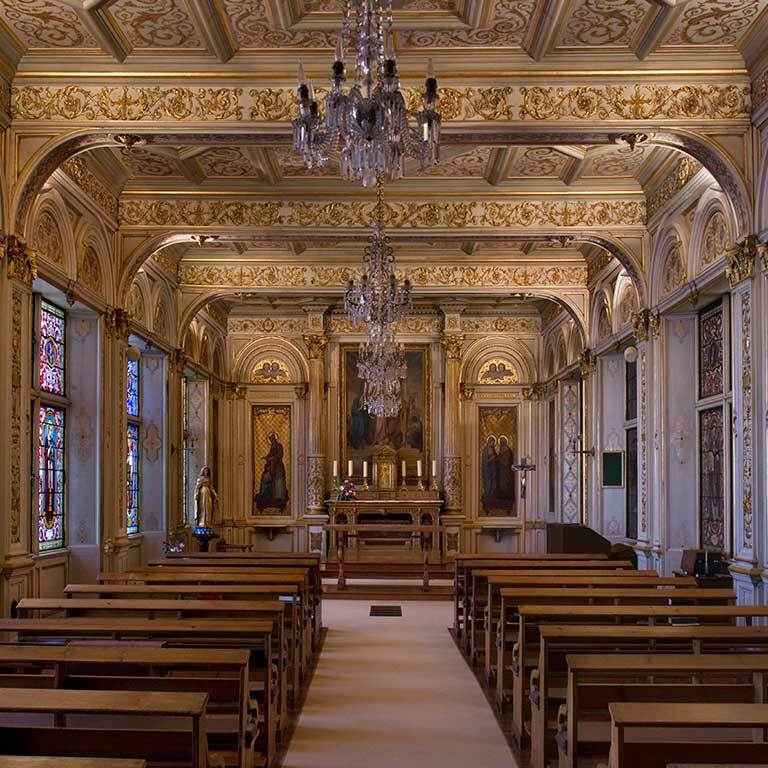 Now, we are going to direct you to the first Archbishop’s Palace. To get into the courtyard, you need to retrace your steps a bit and go through the old carriage entrance at No. 1, rue du Palais. When you are in the courtyard, look to your left.